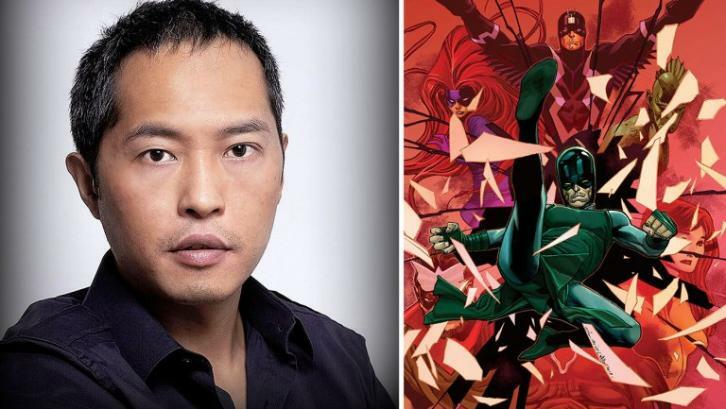 Prominent actor Ken Leung (“Night Shift,” “Star Wars: The Force Awakens,” “Lost”) has landed the key role of Karnak in the “Marvel’s Inhumans” television series for ABC. Karnak is Black Bolt’s cousin and closest advisor. His gift is an ability to see the fault in all things – people, plans, structures, everything. He’s Black Bolt’s most ardent supporter and strategist and is often seen as the royal family’s planner and philosopher. “Marvel’s Inhumans” explores the never-before-told epic adventure of the royal family including Black Bolt, the enigmatic, commanding King of the Inhumans, with a voice so powerful that the slightest whisper can destroy a city. It was previously announced that a version of the first two episodes of the new ABC series, which will be shot entirely with IMAX® cameras, will premiere exclusively in IMAX® theatres for a two-week window in September 2017, prior to the 8-episode network run. “Ken brings both a wisdom and a power to the role that no one else could match. His Karnak will be awesome,” said Executive Producer, Jeph Loeb. Marvel recently announced that “Hell on Wheels” star Anson Mount will star as Black Bolt, Iwan Rheon (“Game of Thrones,” “Misfits” “Vicious”) will portray Maximus, and Serinda Swan (“Ballers,” “Graceland”) as the queen, Medusa. “Marvel’s Inhumans” were first introduced in Marvel Comics by Stan Lee and Jack Kirby in 1965. Since that time, they have grown in prominence and become some of the most popular and iconic characters in the Marvel Universe. “Marvel’s Inhumans” is executive produced by Scott Buck (“Dexter,” “Marvel’s Iron Fist”) along with Jeph Loeb (“Marvel’s Daredevil,” “Marvel’s Jessica Jones,” “Marvel’s Luke Cage”) and Jim Chory (“Marvel’s Daredevil,” “Marvel’s Jessica Jones,” “Marvel’s Luke Cage”) with Buck serving as showrunner. Roel Reine (“The Delivery,” “Black Sails”) will direct the first two episodes. This series is a Marvel and IMAX project and is co-produced by Marvel Television and ABC Studios.